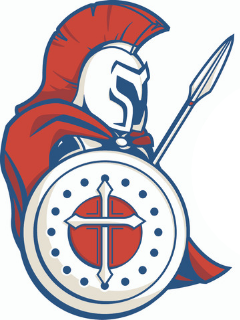 The Warriors Wave is Dayspring Christian Academy’s Booster Club supporting all athletics programs. If you’re the parent of a Dayspring athlete, you’re already a Booster Club member! There are multiple ways to be involved, so be sure to check this page regularly and stay up-to-date with meetings, events, and fundraisers! Parental help is so important to making sure all our home games run smoothly, and WE NEED YOU! Don’t forget – if you sign up for 3 or more volunteer positions, you receive free admission to the home games – SCORE! Don’t worry about signing up for a job you’ve never done before, you’ll receive whatever training is necessary to get you started. **ALL parents volunteering for ANY position must have their background clearances completed. Contact John Riddell at 717-285-2000 with questions. Booster Club meetings are normally scheduled on the first Monday of every month during the school year. Want more time in the game? Join a committee! So, how can we continue to bless our athletic department and our athletes? The Booster Club holds several fundraisers throughout the year in an effort to ensure all of our teams get the support they need. Be sure to check the Beacon for upcoming events and fundraisers! Looking to show your support for our athletes? Attend the next Warrior’s game in style! Choose from a large selection of apparel & accessories that show your support for our athletes! Shop our Dayspring Spirit Store! E-mail your ideas to: BoosterClub@dayspringchristian.com!